"The Influence of Massage Therapy on Stress Levels and Weight Management in Women" by Heidi Sande '12, Alisse Indrelie '12 et al. The Influence of Massage Therapy on Stress Levels and Weight Management in Women is a study examining whether weekly massages lower the stress hormone coritsol—which is responsible for energy regulation and relocation of fat deposits to the abdomen—and subsequently enhance weight reduction. The study measures cortisol levels and other markers of stress in twenty-four overweight women taking part concurrently in a weight management program and a massage therapy program. This study is funded by the National Institutes of Health EARDA Pilot Project. As an aspiring physical therapist, conducting and analyzing research will play an integral role in the future career of Heidi Sande ’11. This is one reason she wanted to be involved in a collaborative research project with Mark Blegen, associate professor of exercise and sports science, and Alisse Indrelie ’12, which began in the fall of 2010. Sande says had she decided not to be a part of this study, she would not have had the chance to work with Blegen outside of the classroom. “Professor Blegen is really fun and has been a great mentor. He has been invested in my learning throughout this project,” she says. 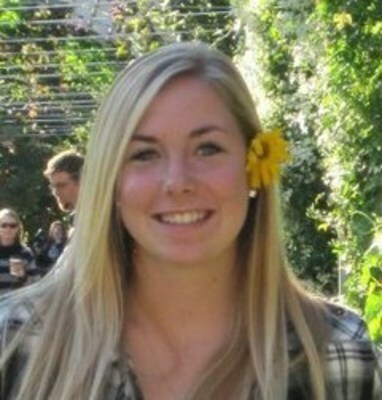 In the fall, Heidi will begin her first year in the St. Kate’s Doctor of Physical Therapy (DPT) program. She says what she has learned during this research experience will carry over to her graduate studies.